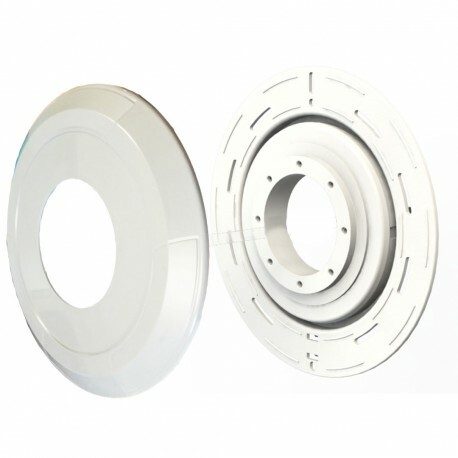 Adapter and Trim Ring - CCEI USA INC. Normally, the Plug in Pool system is designed for new constructions, but thanks to this kit including an adapter and a trim ring, you can now retrofit and adapt your old Pentair, Hayward, Jandy and Jacuzzi* niches with our Plug in Pool system operating with induction. All you have to do is choose the light you want between the Gaia, Mini Gaia, Noria, Mini Noria or the accessories, and plug the 24V-DC power supply to operate the set. The trim ring is available in white and gray. 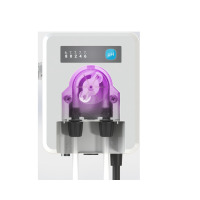 The Mini Gaia LED light is the small version of the Gaia light, it is installed exclusively with the Plug-in-Pool system, meaning that there is no cable between the light and the base. The Mini Gaïa light is designed with a flat glass on which to clip a trim ring. 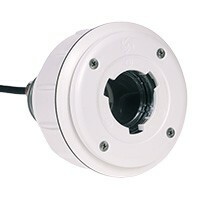 It is equipped with a plug that fits into the base positioned in the pool wall. 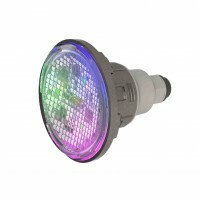 The Mini Gaia light is available in white or multicolored lighting with 14W of power. Four trim ring colours are available: white, light gray, dark gray, sand. 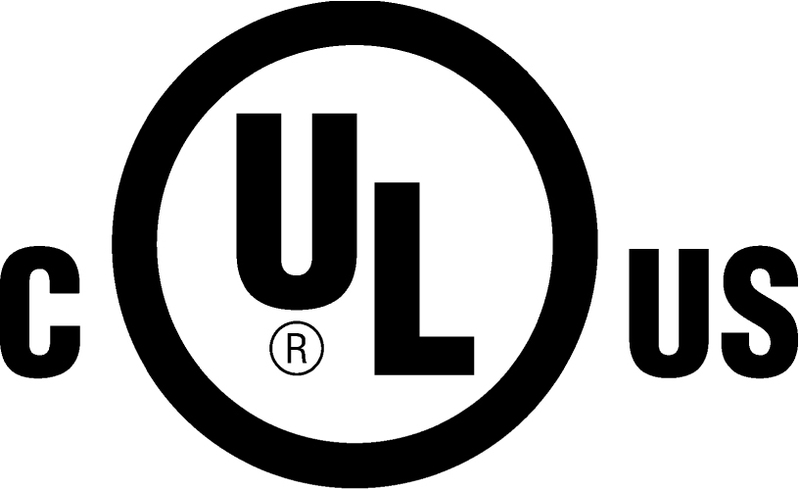 The Noria LED light is exclusively compatible with the Plug-in-Pool system, meaning that there is no cable between the light and the base. It is designed with a flat glass on which is screwed a 316L stainless steel trim ring. 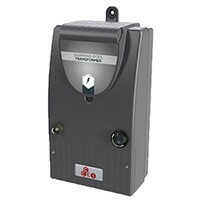 It is equipped with a plug that fits into the base positioned in the pool wall. 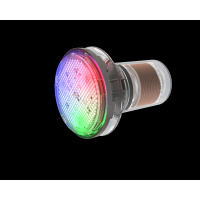 The Noria projector is available in white and multicolored lighting with 36W of power. 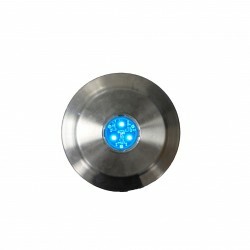 The stainless steel trim ring will give a modern twist to your pool and is designed to resist salt water. 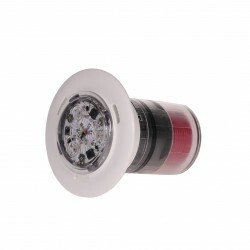 The Mini Noria LED light is the small version of the Noria. It is exclusively compatible with the Plug-in-Pool system, meaning that there is no cable between the light and the base. 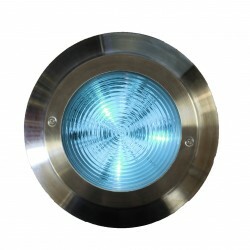 The Mini Noria light is designed with a flat glass that clips a 316L stainless steel trim ring. 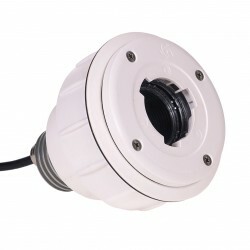 It is equipped with a plug that fits into the base positioned in the pool wall. 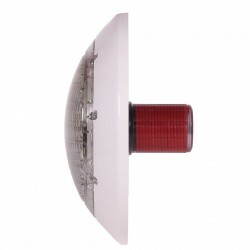 The Noria light is available in white and multicolor lighting with 14W of power. The 316L stainless steel trim will give your pool a modern twist and is designed to resist salt water.